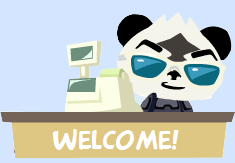 Come on in and discuss everything to do with Pet Society plus trade in complete confidence safe in the knowledge that we have a team of safe traders, trade referees and active moderators all to help and keep you safe! Here you can chat about all your favourite Playfish games, add neighbours, ask for help as well as find out all the latest news! Chat about all other games....not just the social network games! This can be other PC games, Xbox 360, Playstation, Wii, DSi...what ever you like!